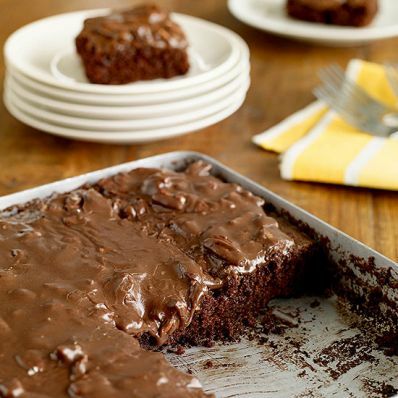 Serve this easy dessert to the chocolate lovers in your family. It's also the perfect recipe for potlucks with a preparation time that's just over 30 minutes. 1 of 1 Heat oven to 375 degrees . Coat a 15 x 10 x 1-inch baking pan with nonstick cooking spray. Place butter, water and cocoa in a saucepan. Heat to boiling, stirring occasionally. Remove from heat. Add flour, sugar and salt. Stir in sour cream, baking soda and eggs. Mix until blended; pour into prepared pan. Bake at 375 degrees for 22 minutes. 1 of 1 Place butter, milk and cocoa in a saucepan. Heat to boiling, stirring until bubbly. Remove from heat; beat in sugar, vanilla and nuts. 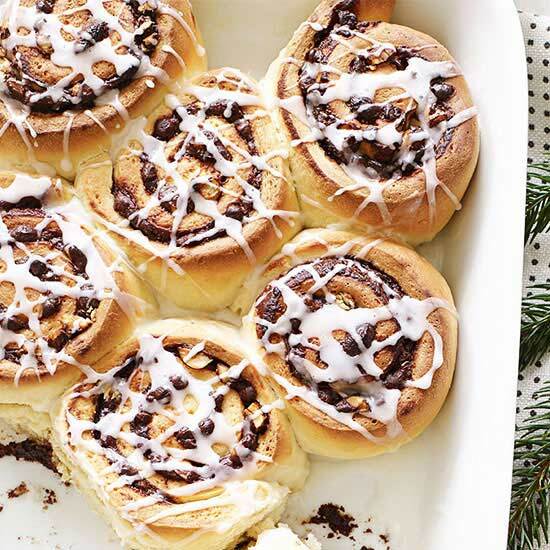 Spread on cake while still warm.